“I was employed as a Marketing Assistant for the 3M Automotive Aftermarket Division. The placement scheme is for 12 months however my contract as extended for 2-3 months. The basis of the role was to support product managers in their marketing activities. From new product launches to advertising campaigns. I also liaised with the sales team to support customer events and manage 3M’s image at the event. “I managed 3M’s Automotive Aftermarket Divisions communication strategy, reporting back to the wider team and marketing manager on how we measured against KPIs. With a good command of modern and traditional marketing practices, I secured print publications and cultivated the divisions' digital space. I managed and maintained a steady stream of content for the website to drive traffic growth, which was tracked and reported through monthly web analytics. I improved the websites bounce rate by 20% within six months. Other digital activities I conducted include: social media marketing, pay per click advertising and hosting webinars. 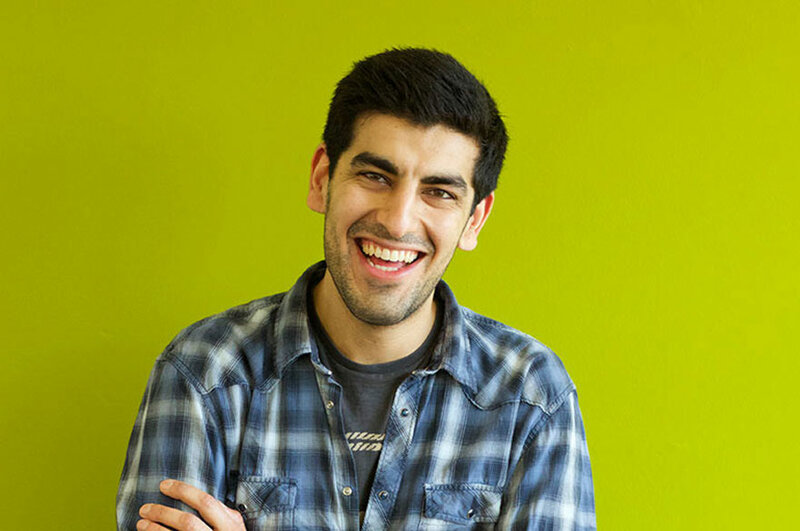 “From creative agencies to PR agents, I managed 3M's relationship with 3 external agencies allowing me to develop the ability to engage and manage people from diverse backgrounds and work styles. Creative and quick thinking in my approach, I acquired the ability to take complicated ideas and concepts and turn them into digestible and memorable messages, which has proved beneficial when creating marketing, collateral. Working closely with application engineers, I translated technical literature to user friendly collateral; creating brochures, leaflets and process boards to be shared with customers. “The complete management of the business’ events and exhibitions presence helped to solidify my planning, organising and project management skills. I managed the budget and coordinated the procurement of branded merchandise and promotional items to be used at events. Throughout the year, I planned and executed over 10 events, which included the hosting of the first Women in Automotive meeting of 2017, which took place in the 3M UK head office. What I enjoyed most about my role at 3M was that I was able to bring my creative vision to fruition. For example, when I created the storyboard for a promotional video created. 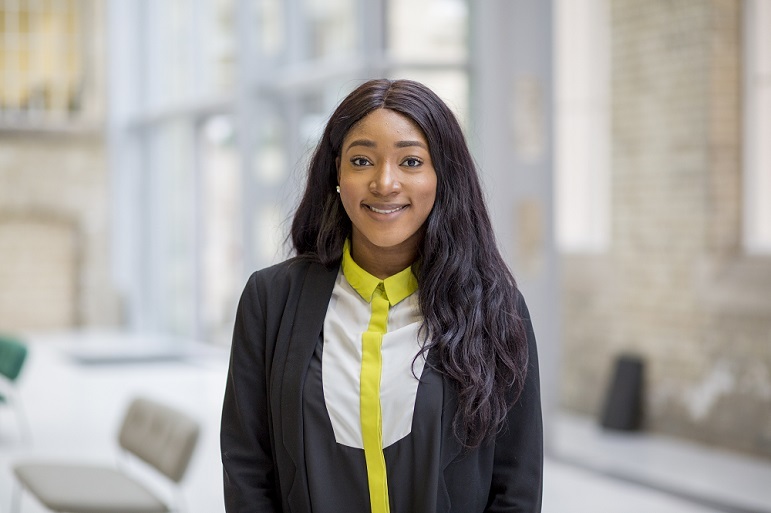 “While on placement I actively applied modules that I had studied in my course including Marketing Management, Strategy and Innovation, International Business Environment, and Foundations of Managing and Organising. When working on a market research product, I drew on concepts from my Strategy and Innovation module such as Porter’s Five Forces. Working for 3M, a company renowned for its culture of innovation, my understanding of Strategy and Innovation was strengthened every day. Working as a marketing assistant, the Marketing Management module was easily applied to my day to day tasks. Interestingly, the assessment for the Marketing Module in second year was about Co-Branding and whilst I was on placement, I experienced this concept in a real case scenario. 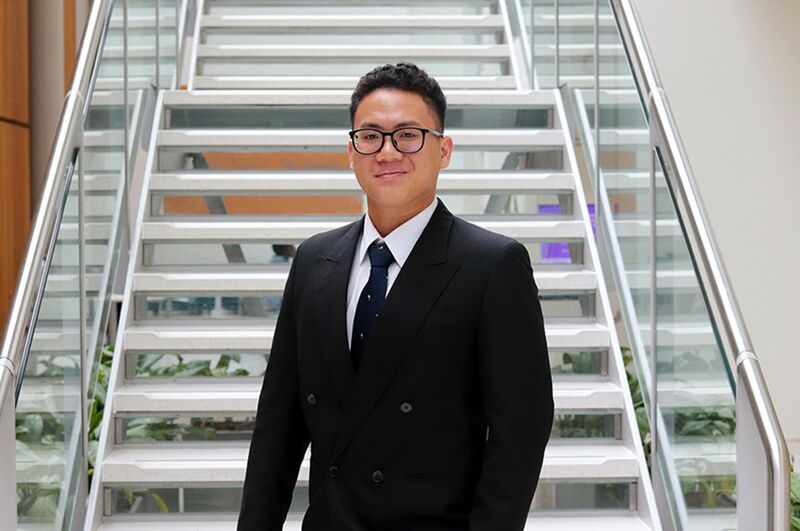 “Throughout my placement, I had contact from NTU including a visit from the university. In terms of support, I need a tax exemption form for the borough I lived in during my placement. My course administrator was always quick respond to requests of this nature. “In order to help secure my placement I met with the Employability team in the employability hub in the Universities Newton building to help me with my CV and cover letter. I asked them to proof it for me before I applied to 3M. I also had an Institute of Directors mentor at the time who was kind enough to review my CV and give me advice. The university also ran mock assessment centres, which I attended prior to the assessment centre with 3M. This was really advantageous because I prior to this, I had not engaged in an assessment centre before. Practicing group exercises, interviews and presentation allowed me to increase my levels of preparedness for the 3M assessment centre. “The recruitment process was approximately 4 weeks. The first stage is the application process, which was CV and cover letter detailing your motivation to apply. I was then asked to complete a numerical and verbal reasoning test. After successfully completing these tests, I was invited for a telephone interview. The question where competence based and about my motivation to apply. The final stage was attending the assessment centre at the UK Head Office. This was consisted of presentations from 3M about the hiring businesses. Then we engaged in group exercises, interviews and presentations. I received an offer a day or so after the assessment centre. Overall, the recruitment process with 3M was positive. The interviewers were friendly and during the assessment centre, we also had a tour of the 3M Customer Innovation Centre and we were able to engage with the current placement students to understand more about the role and company culture. 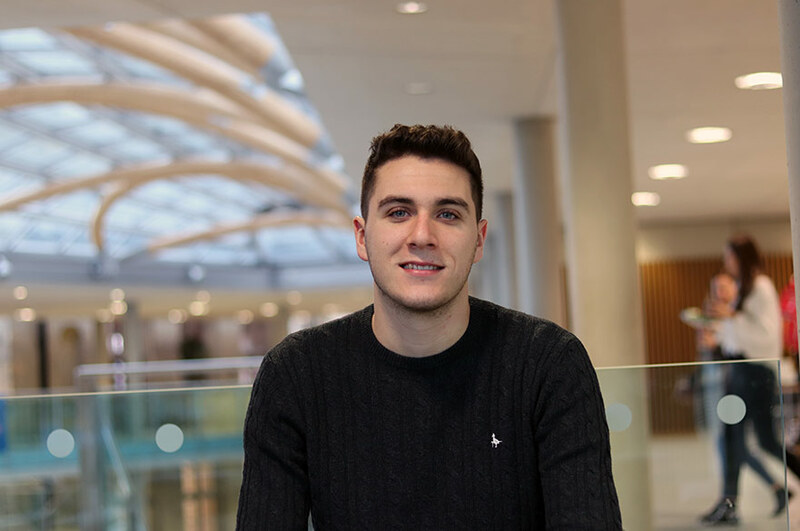 “I would 100% recommend that students should go on a placement or at least gain substantial work experience before graduating. Undertaking a placement will help you understand the type of industry and career you would like to pursue. Or even help you rule out what you don’t want to do. Either way there are important lessons to learn. Regardless of how much you think you have learned about your chosen career from your university, you can never fully understand what the job will until you have been working practically in that role. A placement is a fantastic opportunity to develop interpersonal skills and gain experience of teamwork in a professional setting. A placement also looks great on your CV because of the experience, commercial awareness and skills you will develop. The additional skills and knowledge gained during a work placement can usually be applied to your undergraduate study which can also translate to improved grades. Either way, a successful placement can help propel your career post-graduation as you are more employable. My advice to students who want to apply for placements is, firstly learn to exercise patience as the process can be a lengthy one. Also, get used to rejection and learn to bounce back and come back stronger for the next application. Be impressive. Have something that makes you different to every other applicant. Whether it is volunteering, sporting achievements or work experience, be prepared to evidence what you can bring to the organisation. And finally, when you have secured the placement, be curious and open to new adventures. Immerse yourself in the experience and use it as an opportunity to grow!